If you want to look younger then it is entirely your prerogative to go for a facelift surgery. And if you don’t want the surgery to drain your past savings, then MACS facelift in India could be a good alternative. 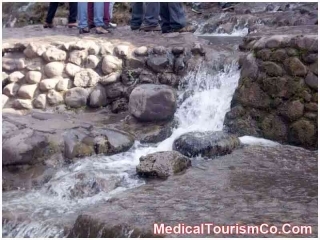 Medical tourism in India is evolving at a fast pace with thousands of overseas patients thronging here for various treatments at surprisingly affordable prices. Mini face lift in India is a viable solution for those who cannot shell out too much for a surgery but want to get it done anyway to take years off their faces. Facelift surgeries are highly popular. As per the statistics released by the American Society of Plastic Surgeons (ASPS) for 2009, nearly 103,625 facelift procedures were performed in the US alone. MACS or Minimal Access Cranial Suspension Lift is less invasive as compared to the traditional facelift procedure. This mini facelift surgery has a shorter recovery time compared to traditional facelift. MACS surgery results in a smaller scar, often concealed by the hairline. 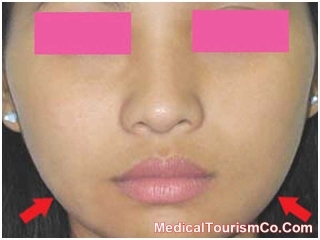 The cost of the mini facelift plastic surgery in India is quite low as compared to the costs in the West. Cosmetic surgery in India is much cheaper than in any of the first world countries. Cosmetic surgeries are usually not covered by medical insurance companies and hence encourage people to travel as far as India to get their facelift surgery done at an affordable cost. Even after factoring in travel and hotel expenses, MACS facelift cost in India will turn out to be a fraction of what one will have to shell out on the procedure alone in the relatively more affluent countries of the world such as the US and Canada. The primary reasons for affordability treatments in India are low cost of living and heavy competition between the big healthcare houses, the benefits of which are passed on to the patients. India’s robust healthcare sector offers myriad cosmetic surgeries including sagging cheeks and skin surgery and surgery for neck and jaw line at highly competitive prices. Getting a Minimal Access Cranial Suspension-lift in India could prove beneficial not only in terms of cost but also quality. Low cost of surgery does not mean sub-quality medical services. The renowned Indian hospitals are equipped with the latest technologies. The good hospitals endeavor to observe high standards of hygiene and serve world class amenities to the patients. Many of these hospitals also have JCI, ISO, and NABH accreditation. Indian doctors are highly qualified and well experienced. Many of them have graduated from internationally renowned medical schools and have years of training and practice with them in nations such as the US and the UK. With majority of the doctors and their staff conversant in English, barriers to communication are almost non-existent. Accommodation in India is cheaper and one can choose from numerous luxury and economy hotels suiting one’s budget. Transportation within the country is quite cheap. India has numerous breathtaking tourist hotspots. Patients can plan their pre-operative days soaking in the sights and sounds of the country. For some getting MACS lift in India could translate to traveling long hours. However, look for more options too. MACS lift (Mini Face Lift) in Cancun Mexico, for example, could be more viable for Americans than getting the surgery in India. Choosing the right hospital for undergoing the facelift surgery in India is an important task and must be carried on thoughtfully. Account for the cost of lodging and travel expenses of an accompanying guest, if any. Beware of pickpockets and beggars. Abstain from eating cut fruits to keep gastric problems at bay. Plastic surgery in India has paved way for those people who could not afford to undergo the surgical process earlier due to the exorbitant prices related to it. MACS lift (mini facelift) in India helps you look younger at an affordable cost. By the end of the day, the surgery gifts back something priceless – a younger you!